An improving economy is often a precursor to a rise in contractor default. Why is this the case? For starters, in the excitement of building a bigger backlog contractors are often unprepared to support an increased workload with the existing resources. Uncontrolled growth often jeopardizes the efficiency of existing systems and can disrupt once successful workflow, and thereby cause overspending throughout the organization. A common statement from contractors is: “I did much more work but made way less money.” What’s the reason? Growing your company without a regard for the necessary time to effectively train personnel and obtain the necessary resources often result in no apparent gain in profitability, even though additional volume is performed. In effect, work volume outruns the company’s ability to manage and supervise the construction projects. When this occurs, project management and supervision become over-taxed and the sole focus becomes just getting the project built. Management of the project from a cost perspective gets lost, and change orders and paperwork tend to fall through the cracks. Also, subcontractor change orders are often ignored only to disrupt the relationships, triggering emergency measures to satisfy their payment requests. So, how do you grow efficiently? Contractors often think the answer is to minimize the need for additional management resources by simply going after larger projects to increase volume. There is no doubt that controlling project size is difficult in an industry where big jobs lead to growth. Since project management resources may not be readily available to undertake many small projects, it may seem far easier to grow by simply taking on bigger jobs that can be handled by the existing management structure. However, bigger projects most often require more experienced management. When management is not experienced enough to handle a large project (often with a larger degree of difficulty) back charges occur, claims typically arise and profits are blown. Many companies have failed by taking on projects that are dangerously large in comparison to their ability to withstand a loss. But there’s an answer! Under a controlled growth strategy both project size and degree of difficulty are considered, and the potential for failure is mitigated. And controlled growth allows time for the expansion of systems in addition to providing time for the related training programs to develop. By systematically building the management infrastructure, your company can take on an increasing number of jobs and build the experience and resources necessary to eventually manage larger projects. In summary, carefully evaluate the mix of project sizes your company undertakes because if something goes wrong on one of these projects that are too big to handle, the consequences can be catastrophic. Both future bonding needs and capital needs can be put in jeopardy, in turn, resulting in business failure. What then is the key? Don’t let your excitement over emerging opportunities cloud the sound business practices that you have used to succeed thus far. Big is not always better! A few days ago, I received another email from a “close and personal friend” who is a high-ranking manager at a bank in Nigeria. My “close” friend must really trust me more than anyone else because he asked that I hold, in trust, $10 million US dollars for his cousin, a now deposed village leader. Now, all I needed to do was to email him my bank account numbers and a few personal details to make sure the money got deposited. Sound familiar? If you have owned a computer with online access in the last fifteen years, you have likely received an email from a friend in Nigeria. The scam is a global classic and the reason it has continued for so long is because there is an endless supply of people who fall for it even though this fraud is so obvious. Not all frauds are quite as obvious, especially in the construction world because of the large sums of money involved in projects. Even in the smallest firms, frauds can go undetected indefinitely and the schemes to defraud are countless. There are ways to prevent, detect and/or deter fraud. As clarification, we are not addressing property theft or inventory shrinkage. Instead, my focus is more the “white collar” crimes, or frauds that occur mainly in the office such as forgery, phony invoicing, padded time sheets, “feather bedding,” banking schemes, check kitting, supplier bid tampering and workers’ compensation fraud, to name a few of the most common. We have seen all kinds and it boggles the mind. The first line of fraud defense is vigilance. 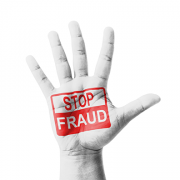 Fraud is out there so pay attention to the way the business operates. If your instincts tell you something is wrong, it may be that it is wrong. 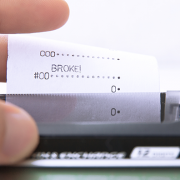 Change banking and computer pass codes often. Bring in a “surprise” auditor to review your books, and check out your cash management and credit card procedures. Spread rumors about the fact that you are checking for irregularities. Cross train office personnel and every so often rotate positions. Fear that a person’s dishonest activities might be discovered by a fellow employee is a powerful deterrent. Hey, fear works! Sometimes the best deterrent to a would-be internal crook is the fear of getting caught. 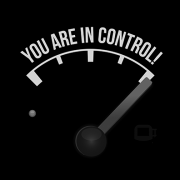 So, pay attention, put in place some simple precautions and incorporate fear into your controls. It just might prevent hard earned money from disappearing out the door! 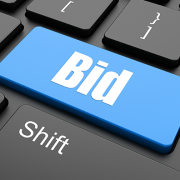 Too often, contractors with significant equipment inventory use industry standard rental rates for anticipated equipment usage instead of actual costs when preparing a bid—a practice that could cause you to lose a job in today’s tight bidding environment. Using industry standard rental rates simply does not take advantage of the potentially lower cost of owned equipment. After all, owning your own equipment is supposed to be an advantage, right? There is more than one reason to know your actual equipment costs. For example, you should know actual equipment costs in order to make key decisions about equipment replacement. Operating older equipment that is prone to breakdown can actually cost you more than industry standard rental rates. In addition, if your equipment needs frequent repairs, you could incur jobsite interruptions and associated inefficiencies driving down profits and making it difficult to afford replacements. And if funds are not pooled in reserve for equipment replacement, it can become very difficult to afford new equipment due to the additional debt burden required. Clearly, owning equipment is a double-edged sword. The added productivity that might result from owning equipment can be countered by an excessively high cost of operation. That is why tracking equipment costs is imperative. Lacking equipment costs information, you could dispose of a piece of equipment with a low operational cost instead of another similar piece with a high operational cost. Companies relying heavily on owned equipment can be severely impacted by poor decision-making such as this, likely making it difficult to remain competitive and leading to potential business failure. There is a saying, “if you want to play you have to pay.” With respect to this topic, “if you want to buy you have to track.” It is that simple. 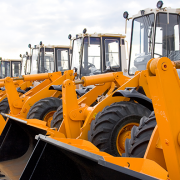 If your company relies on construction equipment to get the work done, implement a comprehensive equipment costing system that monitors all elements of repair and maintenance. With detailed equipment cost tracking, a contractor knows all cost components including fuel, tires and tracks, amortization of major repairs, and hard and soft shop costs, and, therefore, can make intelligent decisions in fleet maintenance and replacement. In short, “know thy equipment.” With this knowledge you can bid more competitively and avoid false expectations. More construction businesses fail from the lack of cash due to poor cash management than from “bad” jobs—it’s a fact. One of the main causes of poor cash management is the ineffective collection of receivables. Your ability to survive—and even grow—in this industry demands that you get paid in a timely manner. Timely means getting paid as agreed to in contract documents. Historically, the construction industry ranks among the worst in terms of completing the work-invoice-payment cycle. The further you are down the payment chain, the more likely you are to be the subject of payment float (i.e., the last one to be paid). Are there laws against this? Sure. There are federal and state “Prompt Payment Act” laws, and their legal equivalents. Is slow pay or floating money a breach of contract or possibly illegal? You bet. Call Perry Mason. While you are waiting for Perry or his legal aids to show up, consider implementing some proactive routine practices to ensure your business avoids the obvious implications of running out of cash. Collect receivables: The collection of receivables is a critical business management function. A weekly review of receivables, their due dates and their aging is an absolutely necessary function of a management team. That’s you! 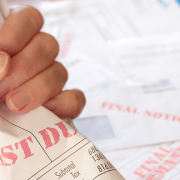 If a customer owes you money and is past due, contact them daily until it is collected. Do not be shy about going directly to the front desk of the customer’s office and asking to be paid or making a fuss with the project owner. The squeaky wheel most often is the one that gets the grease. Avoid Paid-if-Paid clauses: NEVER sign a contract containing a “paid if paid” or “paid when paid” clause. These types of clauses are usually illegal, and even if they are not, don’t sign them even if pressured to do so. Also, unless it absolutely cannot be avoided, do not stop work to leverage payment. Get legal help before you try this tactic because it can backfire for all sorts of reasons. Implement a disciplined management regimen: Schedule a regular time to review the status of accounts and particularly overdue receivables. At Direct Surety, we work with construction contractors of all sizes, specialties, geographic locations and market segments. 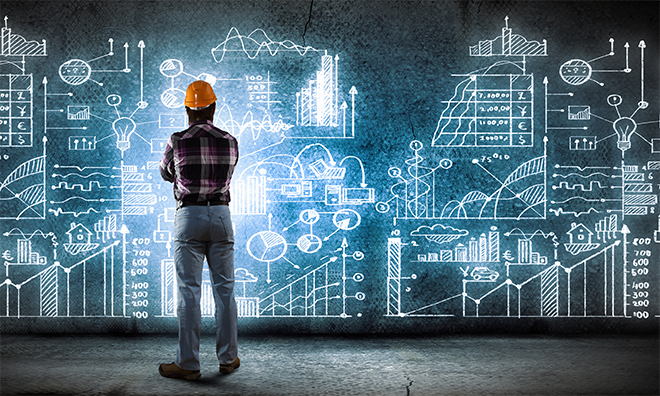 Along with providing more surety credit at a better price, we also provide tools that reveal best practices used by all of the top construction companies. Proper collection of receivables is only one of over 75 practices that you can put in place to maximize your profit-making ability and minimize your risk of failure. Partner with us to learn more about how Direct Surety can empower you to grow and prosper! At Direct Surety, we have had the opportunity to work with many successful construction organizations. We’ve also worked with a few not so successful companies that should have been. The main cause of these business flops has almost always been their rocket-like success and then the sudden discovery they’ve run out of operating cash. And we’re not just talking about fragile start-ups either. The big guys fall just as hard and for the same reason: mismanagement of cash flow. A rapid run up in booking new work (even at top dollar) and then also having to perform this work seemingly all at once (job stacking) will, on one hand, read nicely in the “work in back log” column of any financial report. On the other hand, it has the potential to drain operating cash. Timing is everything. Let’s revisit the term “job stacking” again. It’s really not difficult to picture. The estimating department is hitting one home run after the next (and throws a few parties along the way), and is also booking one obligation after the next. In doing so they may (rightfully) assume unlimited resources (e.g., labor, equipment and material) to perform the work. The estimators (even if it’s you) rarely have a clue about cash flows, banking or credit lines. Even if they are aware of the timing of these new projects, plans can and do change. As we all know, schedules and work flows shift and, therefore, so does cash. Remember, most construction companies go broke while having their best year. It’s critically important that an almost constant analysis of cash flows be performed. This means scheduling and forecasting durations of individual projects (on a time-based minimum 90-day rolling calendar) tied out to individual job specific cash demands (weekly at a minimum) and corresponding progress billings and actual cash income cycles. Yes, it’s like trying to hit a moving target, but in reality this is representative of the financial condition of your company. Sound tedious and totally boring? Perhaps so, but your ability to manage cash is the heart of the reason why you’re able to stay in business. Of course you can’t forget to subtract all those projected costs it takes to run a business called overhead (yuk … unless it includes your own salary!). Hint: The net total of the projected cash-in (you hope) generated from jobs and cash-out coming from overhead, when added to your actual cash on hand, should always be positive. If not, then make certain you have in place a significant operating credit line, or adequate cash somehow in reserve, for short-term (very short) negative cash flow. http://www.directsurety.com/wp-content/uploads/2014/04/blogpost_03.png 396 660 David Druml - President and Founder, Direct Surety http://www.directsurety.com/wp-content/uploads/2015/01/Logo-for-webv_regmark.png David Druml - President and Founder, Direct Surety2014-04-18 12:30:512014-04-18 12:51:48Congratulations! You’re Broke. Over the past 30 years in construction, there have been countless times when I’d meet a job foreman wandering around the shop or yard muttering, “I know we have it out here somewhere.” He’d look and look for that misplaced tool, a section of steel plate or even a backhoe. “Where did it go? I need it today for my job,” he’d say in frustration. Being analytical, I always wondered how many costly labor hours were actually spent on such a non-productive and futile search for “Waldo” – that illusive but critical item, hidden in plain sight or actually just gone. Then the foreman would request purchasing to buy whatever item went missing. Imagine that! Sure you can. You’ve been there. It doesn’t take Albert Einstein to figure out the cost of a lack of inventory control. Construction companies with large inventories of materials and equipment that may in whole or in part be “consumed” by a job can prove to be both operationally and financially challenging. Static and dynamic inventories are financial assets of the company and they have significant cost implications at the job cost level, particularly on the corporate balance sheet. In addition, there may be significant hidden liabilities. Static inventories, such as equipment ranging from small tools to cranes and bulldozers, present (or should present) a less complex general accounting and job costing problem. Put simplistically, these mostly static items can be capitalized and depreciated at a relatively predicable unit cost and billed against a job. This may be particularly true for the most obvious items like heavy equipment that is basically being “checked” on to or off of a given jobsite. The estimator and project manager should know, in advance, the unit cost of these static inventory equipment and material items as these are used. The same is true for sheet piling and like reusable materials that are not consumed by the job. Dynamic equipment and material inventories are treated, from a job costing perspective, in a different manner than are static inventory assets. Generally speaking, static assets in inventory (i.e., a library book) are expected to be returned and retain a certain value as a company asset. Dynamic inventory, like lumber used in concrete forming, steel components or aggregates, are almost always expensed to a job as a singular one-time job cost. 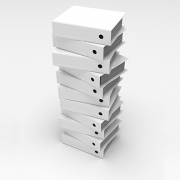 These types of inventory items are also company assets until consumed by a job – and billed. What can significantly throw the inventory ledger out of whack is when there is amassed a significantly large value of a dynamic inventory that was charged to a job, expensed, and then returned for use on a subsequent job or not used at all. This situation gives rise to a couple of potential issues. First, returned or unused dynamic material inventories that were expensed as a job cost and placed back into inventory may later be included as an asset without an off setting capital cost. This can have the effect of inflating the overall value of the company even if the material itself has little actual value. Second, estimators who rely on the merchantability of the returned asset may overvalue its actual usability or assume a minimal budgeted job cost since these may not appear in the inventory, and, thus, are “invisible.” The affect would be to distort the financial performance of both jobs. Finally, there may be additional depreciation costs against the company bottom line. The bottom line: this type of practice is risky. A steel fabricator, for example, may order a large quantity of specialty rolled steel columns and beams from a supplier. These are then cut to their needed design length. What remains are scrap called “drops.” While all the beams and columns, as originally ordered, were expensed to the job, the drops were never accounted for and become part of an unseen dynamic inventory. As far as the estimating, accounting and purchasing departments are concerned these drops, which can count as a significant asset, do not exist even though these are actually assets. I say this because depending upon how a company manages its finances, equipment inventories do depreciate in value when these are capitalized. If unused or under used equipment is allowed to accumulate the equity value of the company may be inflated. But then, the depreciating values of these same assets drag down the bottom line and become a significant liability. If you analyze your static inventory and see items that are a drag to the bottom line – consider liquidating them. The other thing about most static inventory items is that they need maintenance to hold their value in your inventory otherwise they are merely costly depreciating junk. The obvious items are pieces of equipment like trucks or earthmovers that, if left to languish, become large paper weights. But, you may also own smaller items like metal frame forming panel systems. These are expensive to keep in usable condition – the panels wear out, get punctured, and parts get broken or lost. These are just a few examples, but you get the picture. Do not defer, in your job costing or inventory expense, the direct cost of routine maintenance and repair or count deferred costs as profit – it’s not. To do so creates a huge risk, that is, a liability balloon or an inventory valuation equity risk that banks and sureties will certainly discover possibly resulting in a down grade to your credit lines. From these few examples, and there are literally hundreds, the lack of inventory controls can have a disastrous impact on your company finances. There exist inventory control procedures and costing policies that can be adopted and adapted to avoid this problem. Place someone in responsible charge – an inventory manager. Train your inventory manager to serve as a librarian. Treat static inventory like a library book; maintain it, check it on and off a job. 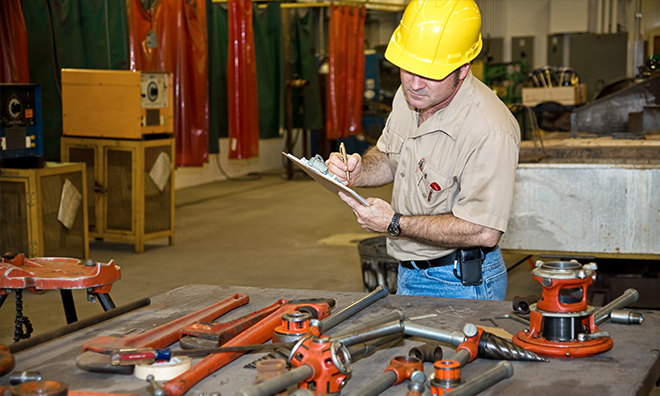 Treat static inventory like it was an internal rental while on a jobsite. The internal ‘charge rate’ should include all costs associated with the asset. Establish equipment and materials departments like they were a profit centers. Track the utilization of static inventory to evaluate return on capital employed. Sign out or assign smaller tools and equipment to specific person(s) responsible to avoid inventory shrink. Check their status regularly. Sign in, quantify and value returned dynamic inventory. Document and communicate the status of all inventories to all other operations departments. Give some consideration to the premise that a project plan and schedule is comparable to a flight plan. Without a flight plan, which includes the process of following specific rules and the use of flight deck navigational aids intended to help guide the aircraft safely to its intended destination, it’s possible that the craft will land at the wrong place – if you’re lucky. Safe flight does not rely on luck and neither does a successful construction project. The consequences of “navigational failures” are well known – just open a newspaper. The inconsistent tracking of job costs is the same as creating a flight plan and never looking at it again once you’ve left the ground. Can you imagine never looking at all those instruments and gauges on the flight deck, the ones that indicate if the plane is going up or down, north or south, or if there’s enough fuel on board? Accurate and consistent job cost tracking is necessary to measure ongoing project performance, and to develop a historical record of job cost information. These basics indicate where you are now, where you have been and where you are headed. And, just like a flight plan, you have the information (often in real time) needed to make adjustments in the project “flight” path in order to accurately control and forecast the outcome of the flight, or tell you if you’re completely off course and how you got there. The accurate and (this is very important) consistent tracking of job costs has a lot of critically important uses. Of course, the first value is basic prudent project management. If your project hits a “storm,” such as delays, constructive changes or other unforeseen events, you’ll have a record of their impacts and the causation of these events. Notice that I use the term “causation.” This legal term is used in a situation where a change request or claim in dispute has to be proved beyond a doubt, that is, cause equals the event and the dollars equals the effect. Even more, without a proven job cost tracking system that is consistently employed by your company the chances of cost recovery are significantly compromised regardless of the merits of your claim. The burden of proof is solely on you. 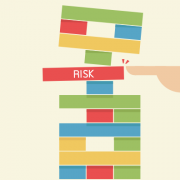 In addition, you will also likely have to demonstrate that your company routinely utilizes a job cost, pricing and tracking system on all jobs as a matter of company Enterprise Risk Management (ERM) policy. In other words, you didn’t just create this accounting document out of thin air or in a vacuum. You can demonstrate that cost tracking, on a job by job basis, is a routine business activity. Therefore, in the instance of a claim, for example, your cost tracking program would be difficult to challenge and also provide the critical elements of proof of actual monetary damages – direct and consequential. This applies to both claims assertion and in defense. So, if your job cost tracking system is not actually a system, dysfunctional or totally inconsistent you’ll not actually know where you are, where you originally planned to go or how you planned to get there; neither will you know where you have been, or even how you got to where you think you are. This is called being lost. And, in the event of a claim, without proper cost tracking, you will not be able to effectively prove a cost impact in terms of time or money should your project hit a “storm” – and they will. When this happens your project will likely, in effect, “land” in the wrong place. And, when this happens you’ll end up spending more time talking with accountants and lawyers than you will in building profits for your company. And remember the long held truism, “Any landing you can walk away from is a good one.” Have a proven consistent system to track job costs so that you know where you are. Don’t leave it to luck.